Thirty-two sailors from a Chinese trawler were dramatically rescued off the coast of Argentina after the South American country’s coast guard pursued and sank 'Lu Yan Yuan Yu 010' for allegedly fishing illegally. Argentina’s Naval Prefecture (PNA) chased and scuttled the ‘slow boat from China’ after observing it trawling inside the exclusive economic zone off Puerto Madryn, according to Argentinian officials. The PNA is believed to have fired the first warning shots when the fishing vessel resisted attempts by the Argentines to board it. China’s Foreign Ministry claimed the boat had been “chased for hours” before being sunk and says it has made “urgent representations” to Argentina in a bid to have an investigation launched. This is not the first time Chinese trawlers have fallen foul of Argentina’s maritime patrols. 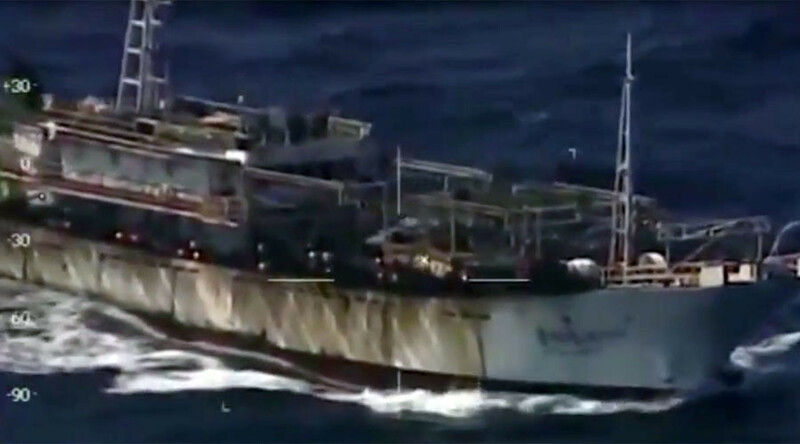 Back in 2012, two fishing vessels were detained for allegedly engaging in illegal squid fishing within the South American nation’s exclusion zone.